Start of Diploma course "Restaurant Management"
12 students have been awarded a full-year scholarship to study for a Diploma in Restaurant Management. Now, on 1st February 2017, all 12 girls reported for their first day of class. The participants will learn to coordinate a variety of activities and how to take on responsibility for the business performance of their restaurant. The course teaches strategic planning and day-to-day management activities. 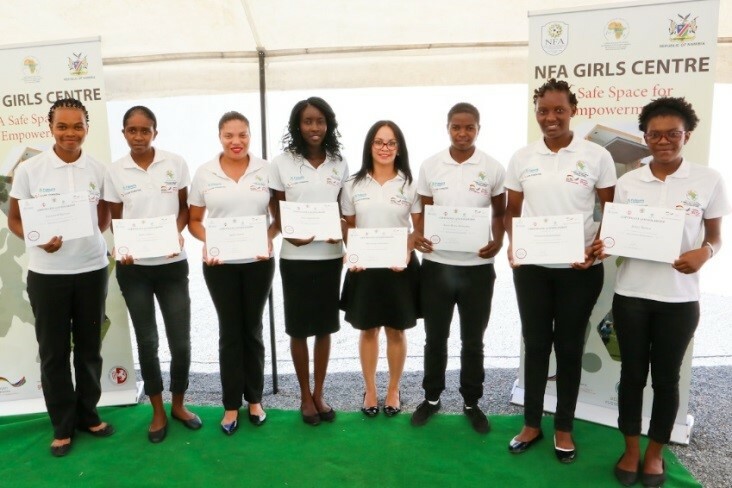 Upon successful completion of the full-year course at Silver Spoon Hospitality Academy, the girls will receive a Diploma in Restaurant Management, which is accredited by the Namibia Qualifications Authority (NQA). 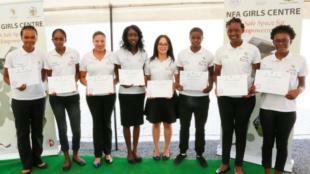 In Namibia machen fußballbegeisterte junge Frauen eine Ausbildung im nachhaltigen Tourismus.